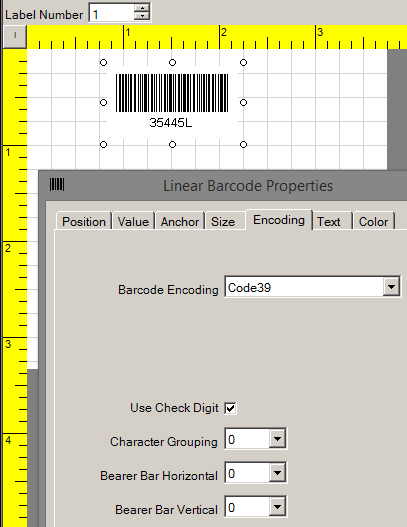 Based on your information, you are using the Barcode Label Software. 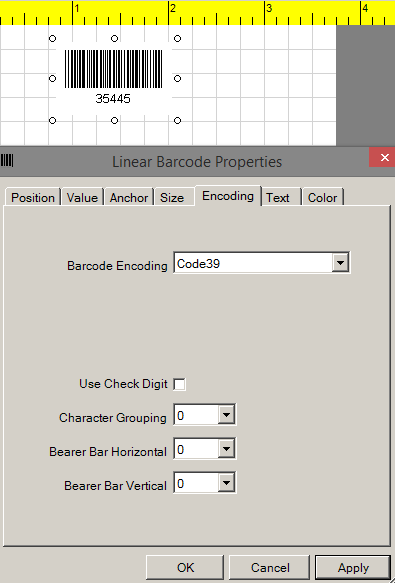 If you are creating a Code 39 and it is adding a letter at the end of the barcode, it may be the check character. If your data is 35445 and it is encoded with the check digit enabled, it will display as 35445L. 1. Double-click the barcode to enter its properties. 2. Select the Encoding tab. 3. Uncheck Use Check Digit. 4. Select Apply and OK. NOTE: This may also occur using Code 93. If this is not the issue, please describe the issue in greater detail.